I am on a much-needed vacation this week in Italy. From 1980 until 1990, my wife lived in Florence. We have many friends in Italy we like to visit as much as we can. It is a unique opportunity for me in that she is fluent in Italian and we are able to spend time in our friends’ homes in the heart of Tuscany. There is nothing quite like sitting down to a home-cooked Italian meal overlooking a beautiful valley. Last night was one of those evenings. Our friends not only put us up in their apartment, they had us over to dinner with several other friends. The conversation drifted towards medical care. One of the guests had experienced some medical problems of a moderate nature that required several physician visits and a couple of procedures. He said that the aspect of his care that most struck him was that at no point during his care did anyone from the receptionist to the doctor ask him how he was doing. Additionally, when he was asked some detailed questions about his condition, he was asked if he was a doctor. When he replied that he was not, he was told that he had been informed enough and that he should not ask so many questions. You might imagine his frustration. I have witnessed a lot of success with the DOCC protocol, but it has become increasingly clear that the protocol is just a framework. 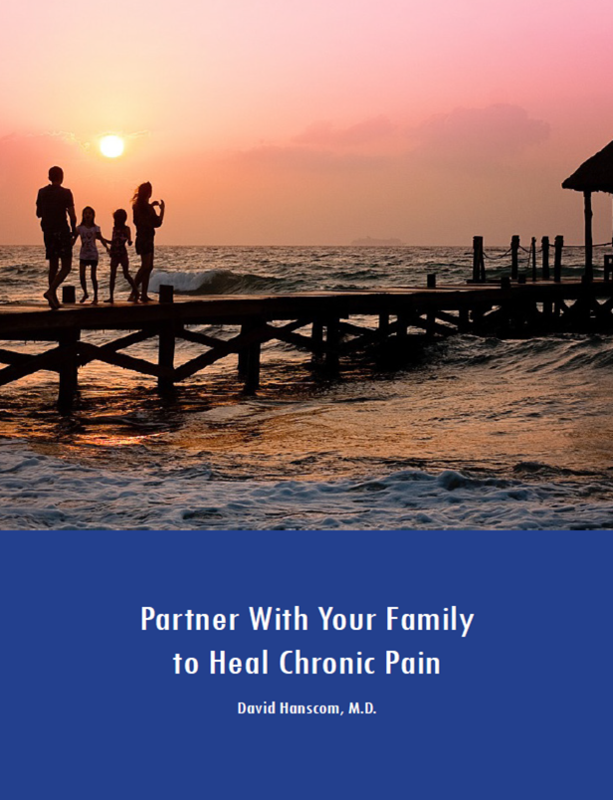 It helps organize both the physician’s and patient’s thinking about chronic pain and therefore makes it much easier to create a treatment plan. It is the patient who organizes and implements the plan. The physician is more in the role of a “coach” as well as being continually aware that there might be a potential structural problem. About a year ago, I was talking to the pain psychologist I work with about what we were doing that seemed to be more helpful to our patients than either of us had historically observed. She kept insisting that I was the factor that made the difference. I was sure it was the DOCC protocol and the work she does. After more and more positive results, I finally agreed that I played a major role in their recovery. To clarify, I don’t believe that I have a special gift or am the world’s best doctor. I simply stay committed to my work with the patient. With increased attention over the last couple of years, I have seen more patients who had been in pain for decades become pain free. Through my numerous difficult experiences, I have had many layers of my own personal labels stripped off. Physicians, especially surgeons, are perfectionists. It gives us an early competitive edge in high school and college. It is somehow held up as a virtue by our medical culture and demanded by society. Unfortunately, it is a complete disaster with regards to our ability to connect with our patients. By definition a perfectionist is continually judging himself or herself by an unattainable standard. As I have labeled myself, I have labeled others around me. As it has been my reality for over 50 years I had no clue that this process was taking place. 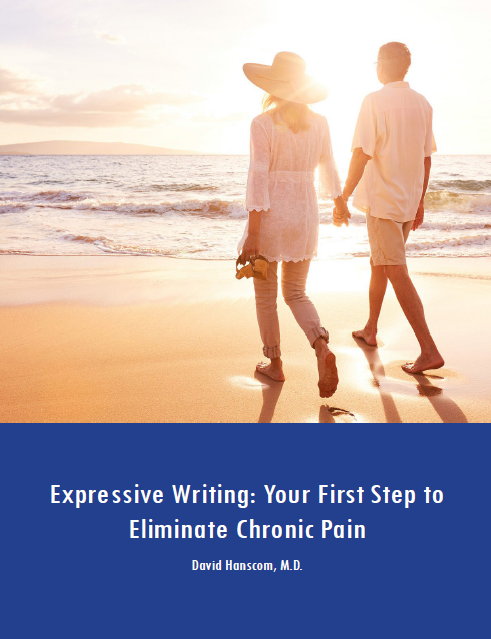 I recently wrote an article, “The Cry of Chronic Pain—No One is Listening.” The essence of the article is that once you have a label of a “chronic pain patient” placed on you, the world, including you, feels that it is just “something you have to live with” and your care becomes essentially palliative care. I recognize that labeling is universal but it is not constructive. I am aware that I label people constantly. As I work to become aware of the label I am placing, I am able to eventually see who you truly are. You are a whole person. Neither you nor I are the labels we place on each other. The energy for your healing journey comes from you, not me. What I contribute is that I am able to see you as a whole person and you are somehow able to remember that part of you that is really you. When that part of you “wakes up,” there is no stopping you. You are your own oasis in the middle of the desert. I cannot ever tell who will engage or when. The DOCC project is just a rough framework and every journey is completely different. I am continually energized and inspired by the incredible obstacles you overcome to return to a rich, pain free life. I recognize that essentially all physicians are compassionate. Many physicians have figured out this journey and most have not had to experience burnout to learn it. I am continually humbled by numerous examples of deep compassion by my colleagues. I always thought I was compassionate. I was very well intentioned and always gave every patient my best shot. However, the physician burnout rate is around 50% and we truly have a life full of more stress than you can imagine. If you are just trying to survive, there is only so much you can give. Additionally we have no resources or tools to help us out. The safety net is a concrete floor. It has been shown in several studies that it is during the third year of medical school that compassion takes a dive. I am not writing this post for you to begin looking for a physician who is compassionate. It is not a bad idea, but it is not necessary for you to heal. Remember this process is about you taking full responsibility for every aspect of your care and your life. You don’t need me. You don’t need the DOCC project. You just need to connect with that part of yourself that is whole and wants to thrive. The person who you need to experience compassion from is you. Use whatever means you have at your disposal to figure this out. It will probably take some outside help but there are multiple resources. Quit trying to “figure all of this out” and just go.